Like a lot of other girls, I used to be really self-conscious about facial hair. Yes, I know that any kind of facial hair, peach fuzz and whatnot, is totally normal but I still couldn't help but feel really insecure about it. It doesn't help that any hair I have on my body is naturally dark and grows quickly too. I've tried practically everything to minimize or get rid of facial hair. From using creams, to waxing, to laser treatment. Bleaching only reduced the appearance of the hairs when I wanted them gone, waxing and depilatory creams meant that awkward period between sessions where you had to wait for the hair to grow back before you could do it again, and laser treatment was too expensive for me to do regularly. Eventually I decided on shaving. It was quick, easy, and I could it do it everyday - especially since visible hair growth practically happens overnight for me. Told you it was quick! Up until recently I've been using an ordinary brow shaver to take care of any facial hair I want to get rid of. You know those cheap, easy to find ones you eventually throw away once the blade dulls? 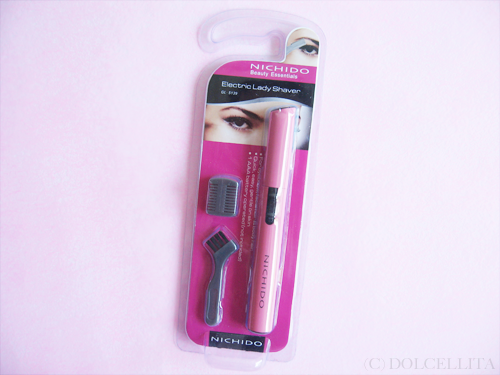 But when I saw this Electric Lady Shaver (Php398.00) from Nichido last month, I immediately bought it since I figured it could make the everyday job of keeping my face hair-free even faster and easier. 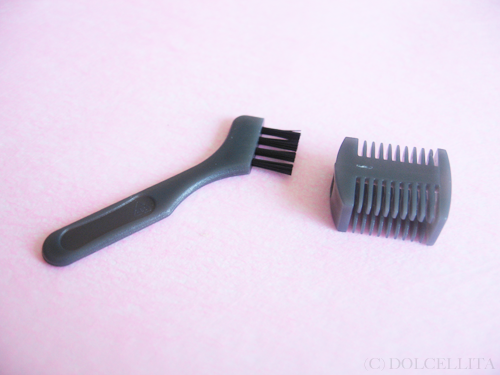 The shaver is meant for eyebrows and any other facial hair, and can even be used for body hair. I think it's much too small for anywhere else other than the face though unless you want to spend a long time shaving away at your legs, underarms, etc. It's described as "quick, easy, and gentle on skin". 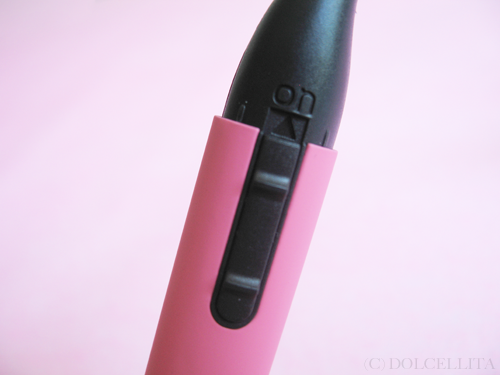 Aside from the fact that it's pink, I like how the shaver itself is really sleek and slim. I can compare the size to an average mascara tube. It's easy to just pop into your bag or makeup kit if you want to bring it along with you, especially if you're traveling. The shaver comes with two accessories: a brush for cleaning, and an attachable two-sided comb for when you're going to be shaving your eyebrows. I wish they included a small pouch or something for the accessories since they can easily get lost. A close-up of the shaver's blade. Unfortunately Nichido doesn't sell replacement blades, and the blade for this can't be removed or changed either way I think, so once it dulls then you have to buy a new one. This is what it looks like when you attach the two-sided comb. I don't shave my eyebrows though, so I won't be making use of this particular accessory. The shaver has the basic ON-OFF switch at the front. I forgot to take a picture, but this is also where you're supposed to place the AAA battery. You just pull down on the bottom part of the shaver and it disconnects so you can slip the battery inside. Push it back up and it clicks into place again. Super easy! So what are my thoughts? Well, the shaver works great on really fine facial hair, like what I have on the sides of my cheeks. It gets rid of them completely and in practically no time at all. Certainly faster then when I was using an ordinary brow shaver! However, for more stubborn hairs, especially those that are thicker and darker like on my upper lip, it doesn't perform as well. Basically, it doesn't give me a close shave and there are always still visible bits or 'stumps' of hair left. I've even tried holding my skin taut while using this, but no luck! My cheap brow shaver is actually a lot more effective than this. I'm going to assume it's because with the latter, the blade is more exposed and can 'reach' the hairs better to get rid of them? I guess it's the same way I don't find electric shavers as effective for my body (legs and underarms) as compared to disposable razors. As you can see with the Electric Lady Shaver, the blade is only exposed a little and heavily protected by the 'grills' on the sides. 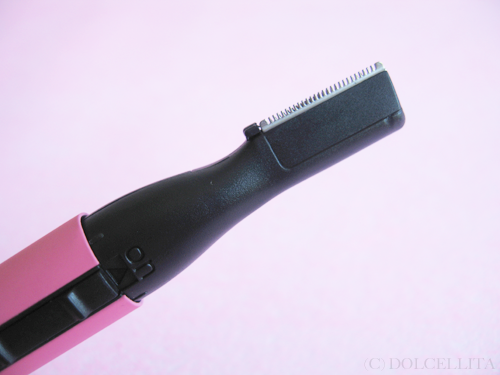 It keeps you from hurting yourself, but at the same time, it makes it harder to shave away certain hairs. Safe to say I most likely won't be re-purchasing this and will go back to using a brow razor! Even if it worked great for me, having to replace an entire electric shaver every time will eventually become an expensive habit. 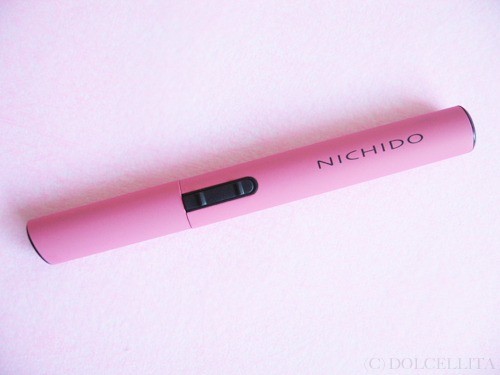 I think Nichido should modify this product, for people who like it, by releasing one that at least allows you to replace or change the blade. Comes with a brush cleaner. Gets rid of very fine hairs quickly and easily. 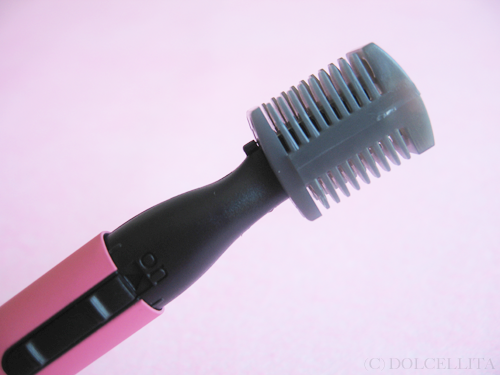 Easy and safe to use, even for those with sensitive skin or are new to shaving. Only requires one AAA battery. Doesn't really give me a close shave for thicker and more stubborn hairs. I still find 'stumps' of hair left. You can't change the blade, so once it dulls you have to buy a new shaver.